How much time do you spend every day waiting, commuting or just doing nothing? What if you could make that time more productive? What if you could use that time to learn about entrepreneurship? What if you could improve your English at the same time? Its possible to do all of this by listening to podcasts. Podcasts are a great way to fill the time when you are driving, on the bus, or when you are waiting around. We’ve spoken before about how podcasts are a great way to improve your English, today we’re going to talk about how they can specifically improve your entrepreneurial English. Podcasts aren’t the only way that you can improve your English while learning about entrepreneurship. There are also many TV shows and movies that deal with topics of entrepreneurship as well. Using media like this to study English can be more valuable than taking English classes because you are more engaged and connected to the story line. There are a ton of podcasts that successful entrepreneurs have made to help those who aren’t as sure about what they’re doing. By listening to these podcasts you will learn the secrets that made them successful and hear their stories of how their businesses evolved. Listening to such exciting content will push you to improve your English, since what they say can have a big impact on your business. Click on the picture to be redirected to the iTunes page where you can download the podcast. The LBP is the leading podcast for anyone who is looking to create a business that they can run anywhere they have a wifi connection. Dan and Ian have built a 7 figure business with 13 employees worldwide all while traveling the world. Their weekly podcast is a huge source of information and inspiration for entrepreneurs and they top this list for good reason. The way they speak may be a challenge for less advanced students, since they use a lot of jargon and a lot of terminology that they themselves made up. Their earlier episodes are more friendly for intermediate students. 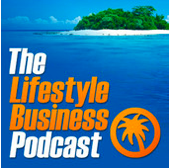 If you’re looking for a challenge, then give the Lifestyle Business Podcast a listen. 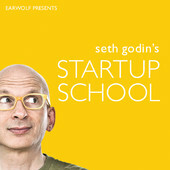 Seth Godin, legendary entrepreneur and marketer recently launched a podcast about entrepreneurship. The podcast is a set of live recordings done at one of Seth’s workshops where he guides thirty entrepreneurs how they can build and run their dream business. 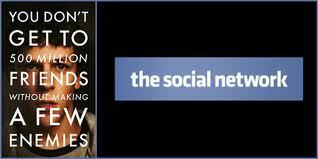 The content is very engaging and you can start applying the lessons he teaches in your business right away. Seth speaks in clear, easy to understand English and he uses lots of stories to get his message across. He speaks at a controlled rate, with a methodic voice that draws you in. Easier to understand than the LBP and great content. 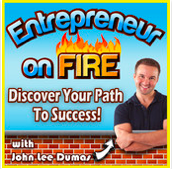 John Lee Dumas of Entrepreneur on Fire started his podcast in September with a crazy goal: to publish an interview with a successful entrepreneur every day. 4 months into the project and he’s still going strong. Some of his guests include Tim Ferris, Gary Vaynerchuck, Guy “Two Dads” Kawasawki and Seth Godin. Given that every episode is with a new guest, I can’t speak on the ease of understanding all of them. John speaks clearly and intermediate level students should be able to understand him. Television is usually thought of as an activity that you do to waste time, but in the context of language learning it can be a very effective way to improve your listening skills while learning new vocabulary. Make sure that you have no distractions and can focus all of your attention on the show in order to get the most benefit from it. Write down unfamiliar words to study for later. The show gets its name from the sea animal that is seen as the strongest, most dangerous and aggressive predator in the ocean. 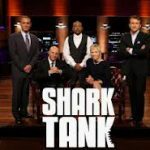 The sharks on this show are a panel of millionaire and billionaire investors whose job is to criticize the business plans that are brought before them. Sometimes they decide to invest in the businesses that are brought before them, other times they tell the entrepreneur that their idea is terrible and they should try something else. As people present their ideas to the Sharks, you can see how billionaires operate and can learn the language that they use to do business. As all of the episodes are filmed in the same setting, you will gain familiarity with certain words and scenarios as they repeat themselves. 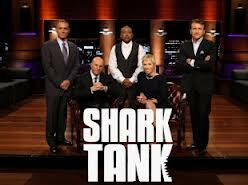 Watch episodes of Shark Tank online for free. This series started almost a decade ago when Billionaire investor Donald Trump began looking for an assistant. Every season he brings on 16 contestants and puts them through a series of tests designed to challenge their business abilities. 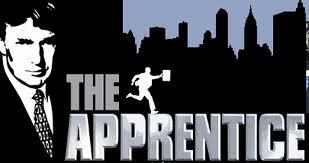 At the end of every episode Donald tells one of the contestants “You’re fired” and they get sent home. By watching this show you can get a greater understanding for how a billionaire and former presidential candidate runs his business. As Donald Trump’s empire covers a wide range of products and services, the episodes vary widely as well. The different settings offer you the chance to learn business English as it is applied to different sectors of the economy. Flipping Out is an entertaining reality TV series that follows around California designer Jeff Lewis as he renovates and flips houses. Jeff is a serious businessman and you can learn a lot about negotiation, management and real estate while watching the show. You can also see the poor attitude that some rich people have towards their employees and everyone around them. One of the main characters of the show is Zoila Chavez, Jeff’s Nicaraguan live-in housekeeper. Jeff doesn’t always treat her very well, and over time she starts to bite back. For those who come from a culture where housekeepers never talk back to their boss, this dynamic will surely be interesting to see. 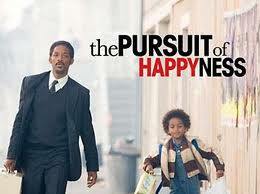 Movies are another great way to help improve your English. Each movie you watch brings you into a different world, and the directors took special care to make that world as representative of reality as possible. When you watch a movie you have an opportunity to absorb the vocabulary and mannerisms of people in that world. Here are a few movies that you can watch to learn entrepreneur vocabulary. 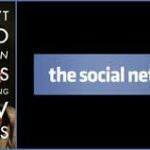 Watching the rise of the most popular website in the history of the internet is sure to leave you feeling inspired. The journey that Facebook’s founders go through has a lot of similarities that other Entrepreneurs go through on their journey. Since much of the movie takes place on college campuses, there is a lot of slang and other modern expressions that you can learn from this movie. 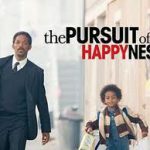 This movie follows the journey of a struggling salesman who in San Francisco who is left homeless and caring for his son after he spends his family’s savings on a bad investment. He doesn’t waste any time despairing, and takes on an unpaid internship for six months hoping that he can get the job of his dreams afterwards. It’s an incredibly motivating story that has an important message for entrepreneurs about not giving up. This movie follows the life of Howard Hughes as goes from being a Hollywood movie director to building an airline empire. 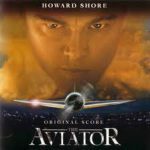 The Aviator is a good lesson on thinking big and unifying your employees behind your vision. The film takes place in the middle of the 20th century, so the English spoken is of a clearer, older variety. That’s all the resources we have time to share with you today. 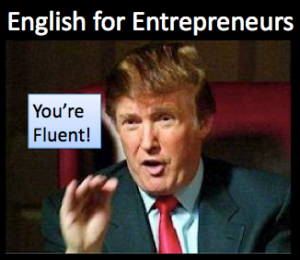 If you liked this article and want to see more posts about English for entrepreneurs leave us a comment and let us know. Also feel free to share your favorite resources for learning about entrepreneurship. Join the Real Life English International Community and Get our popular new e-book, 101 Words You’ll Never Learn in School. Great article Josh! I look forward to checking some of these out, especially the podcasts. It sounds like they’ll really help me get into the entrepreneurial/small business mindset, thanks!